Great looking country style design with Western Stars embroidered across Gorgeous Fabrics. Aquamarine turquoise gorgeous against the tan background soft and beautiful. 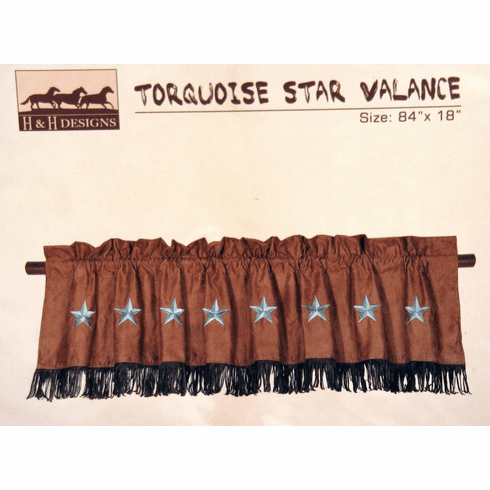 Featuring an beautiful combination of tan microfiber suede with embroidered stars and faux leather fringe.